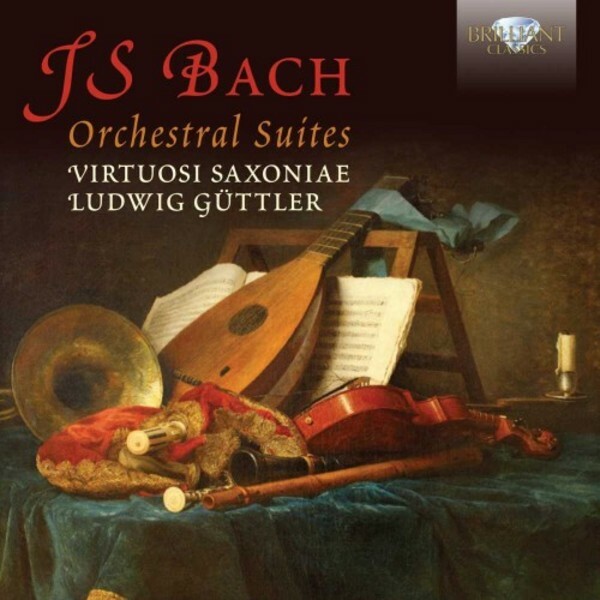 This generously filled CD presents the complete Orchestral Suites (Overtures) by J S Bach. Bach’s Suites count among his most popular and most frequently performed works. They are quintessential Bach: majestic, noble, tender and full of energy. They contain some of Bach’s evergreens, such as the Air from the 3rd Suite and the Badinerie from the 2nd Suite. They are played by the Virtuosi Saxoniae conducted by trumpet player/conductor Ludwig Güttler, on modern instruments in Historically Informed Performance Practice - the best of both worlds.